I bet your first lens was a 50mm kit lens. You probably quickly replaced the lens with a fancy zoom and never thought twice about it. I traded in my 50mm lens to get a discount on my first camera, and never thought twice about a prime lens. That was before I purchased Canon’s 85mm f/1.2 L. With that single purchase, I was hooked on primes. Primes tend to be sharper especially edge to edge. Primes can provide a few extra stops for low-light situations with apertures less than the standard f/2.8. It can easily mean the difference between shooting in natural light and shooting with a flash. All it took was walking around the Metropolitan Museum of Art with the 85mm. No flash photography is allowed, so shooting with a f/1.2 was important. And the pictures turned out fantastic! One problem with the 85mm is the distance from your subject. The distance works well for candid shots. But, for typical shots, that extra distance provides more room for people to walk in front of you and ruin the shot. With a 50mm, you can get between 15-20 feet closer to your subject! 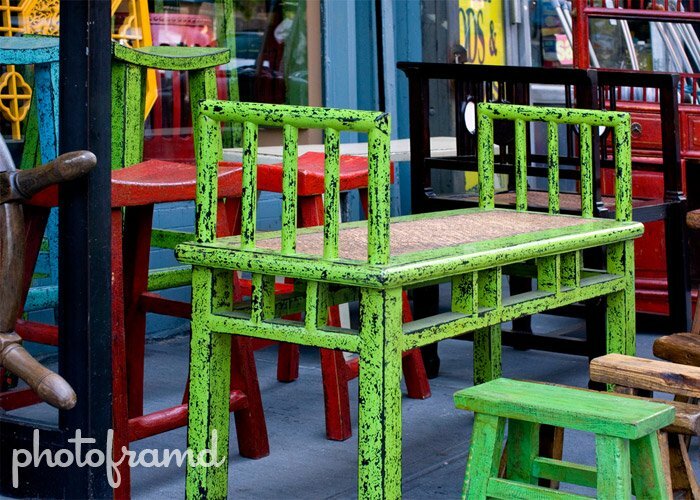 This is one reason why a 50mm lens is preferred for street photography. Of course, my first instinct was to look at Canon’s 50mm f/1.2 L. But, to spend $1,500 on a 50mm was out of the question. Canon does have two other 50mm lenses (one f/1.8 and the other f/1.4) which are inexpensive, but the construction is not the greatest. 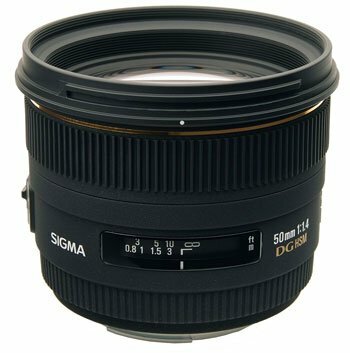 When I heard that Sigma was releasing a premium 50mm, I was intrigued. What really caught my attention was the fact that the Sigma 50mm f/1.4 lens was priced above the Canon’s low-end 50mm lenses as well as similar lenses by Nikon. Obviously, Sigma thinks this 50mm lens is something special. After spending the weekend shooting with it, I agree with them. Available in mounts for Canon Eos, Nikon, Sony, Pentax, Olympus and Sigma dSLRs. All of the above street photos were taken with the Sigma 50mm f/1.4 lens and the Canon 40D. Please check back for tomorrow’s article, Part 2 – Comparative Test Photos. ← Previous Previous post: Weeee, I got a Palm Pre !!! I didn’t go out and look yet but I assume it’s in the 400-800$ range? I hope you’ll take some portrait photos with it and let us know what you think. I’ve been thinking about a 50mm prime for some time but I have had the money to justify which is all “L” glass. Most retailers have the lens on sale for under $500 (all mounts). I am very impressed with the quality of the lens. Part II has comparison photos that shows it is on par with Canon L lenses!